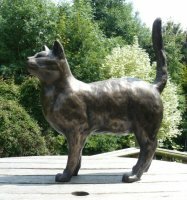 All of Peter Close's bronze cat and animal sculptures are suitable to be kept outside and are completely weatherproof. 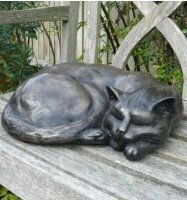 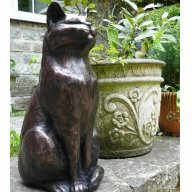 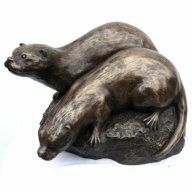 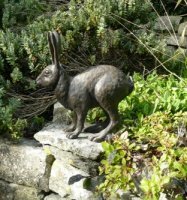 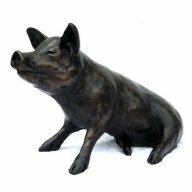 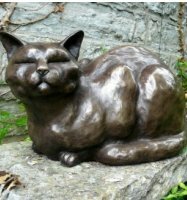 A lovely addition to any garden or sunny patio, a cat garden ornament or a bronze hare sculpture will provide an attractive feature for many years to come. 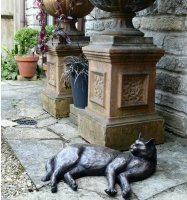 Below is a selection of photos of our cat and wildlife sculptures outside.